November is National Family Caregivers Month, a time to be especially kind to those who care for aging family members. Many of those who are family caregivers are boomer women, sandwiched between the needs of their parents and their kids. They give, give, give to loved ones, while often sacrificing their own needs. I’m familiar with the life of a family caregiver. I was a caregiver to my late husband during his illness. For many months, I visited him in the hospital each evening, driving a long distance after a full day of work, then home to make dinner for my son, leaving little time to rest. Then I’d start the routine all over again. Shortly after my husband died, my sister N and I became more active caregivers to my mom. We were grateful that mom lived on her own for most of her senior years. When she became ill at 89, we had to give care from afar because mom lived in Florida and N and I lived in the northeast, and that became quite difficult. We decided it was best for mom to move into an assisted living environment where she would have the ongoing care she needed. As devoted daughters, moving my mom was a tough decision. We were glad mom thrived in her new home. She died in her early 90s. My sister N and I were caregivers to my mom until she passed away a few years ago. Being a family caregiver is a major commitment. Many of my friends who have aging parents tell me of their challenges: when their dad falls and breaks an ankle or hip, when their mom forgets to take her medicine due to Alzheimer’s or some other form of dementia, when they have to play the parent to their parents and take away driving privileges. So many “What should I do?” issues pile on family caregivers that their shoulders get weighed down. The Ad Council and AARP have kicked off a program this month that is designed to encourage all Americans to perform a “random act of kindness” for a caregiver. This nationwide movement is an effort to raise awareness of caregiving while also reaching caregivers directly, rewarding them for their ongoing support. The goal is simple: Identify someone in your life or in your community who is serving as a caregiver and do something nice for them. It doesn’t have to be complicated or expensive, just a small gesture that makes a caregiver’s life a little easier. For example, last month I invited my friend A to dinner. She works full-time at a demanding job and also cares for her aging dad. I treated her to a relaxing yoga session and reminded her that this evening was totally for her. She greatly appreciated the break. Simply submit a summary of 150 words or fewer telling how you made a caregiver feel special, along with a photo. All participants will be entered to win a cash prize from a $10,000 pot. AARP provides a tremendous number of online resources for family caregivers at its Caregiving Resource Center. Forty million heroes are caregivers all hours of the day and night to their loved ones. It’s a crisis that is only going to grow larger as the baby boomer generation grows older. Reach out and show some kindness to a caregiver. Even just listening to their stories can make a difference. This fact sheet will identify some of the common, often hard to admit, feelings that care givers experience. Once identified, suggestions for how you might better cope with these feelings are offered. If only we were perfect we would not feel . Allow yourself to feel both sets of feelings. Everyone has these feelings sometimes. Neither the bad feelings nor the good ones will last forever. Forgive yourself. Find constructive ways to express yourself, learn to walk away and give yourself a “time out.” Identify supportive people you can talk to who will listen as you vent about the things that happened that day. Pay attention to your anxiety it is our body’s early warning system that something isn’t right. When you feel anxious: Stop. Breathe. Keep breathing. Pray. Meditate. Make some tea. Anything that will give you a break from what is happening in the moment. Respite can help. Getting a break from caregiving and having some time for yourself will not only increase your patience and resilience but will give you a chance to do something that is meaningful to you, whether it is socializing, going for a walk, or reading a good book. If you find yourself feeling cranky and irritable, you probably need a break.You also may need to get some rest, as we are in less control when tired. Often we will turn to alcohol or our favorite junk food to reward ourselves when feeling this way. It’s more beneficial to keep a journal or talk with a friend or professional to let off steam. As a caregiver, you are at risk for depression. Sometimes this is feeling hopeless or helpless, the inability to sleep, or trouble getting up and facing the day. And sometimes it makes you want to cry. Depression is treatable and should be taken seriously. Professional help is available. Talk to your physician if you think you might be depressed, join a caregiver support group, find a counselor who understands caregiving, and ask for help from friends and family. Exercise. Moving your body is a proven way to relieve some of the symptoms of depression. Some people create cards (similar to business cards) which read, “My loved one has dementia and can no longer control their behavior” that they hand out to those around them when they are having trouble, especially in restaurants. Some people just stop leaving the house because this is such a difficult problem to manage , it’s easier to stay home. Others have friends, family members, or an attendant accompany them when they go out to offer assistance, when needed. It is important to have contingency plans. 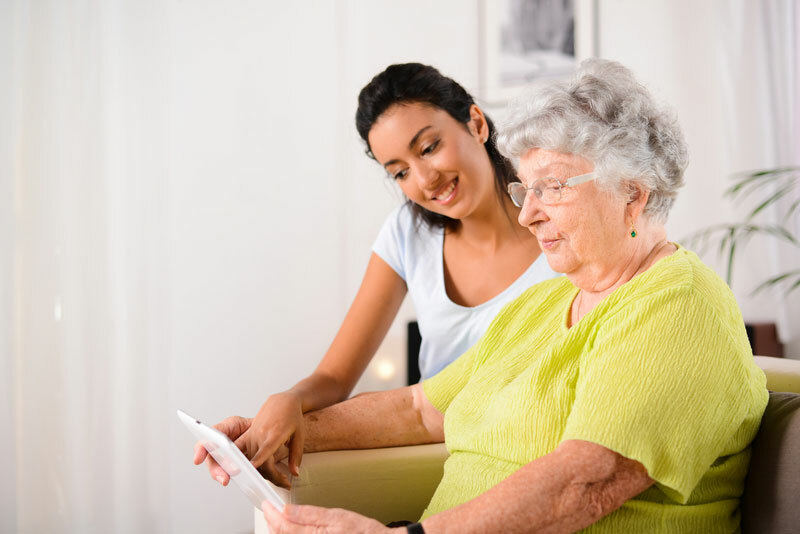 So, it might make sense to have a back up caregiver in mind in case something should happen to you, or to think about how you would handle predictable medical emergencies based on what disabilities your care receiver has. When you get scared, it is often helpful to talk to someone who knows your situation and can give you perspective and calm your fears. Acknowledge how frustrating Caregiving can be. Join a support group to learn the tricks other caregivers have learned to make coping easier. Get breaks from Caregiving so you have time for YOU and a chance to refresh your energy. Sometimes creating a ritual can be helpful. One caregiver would write on a piece of paper the things her husband could no longer do, then go to the ocean and throw the pieces in the water as a way of letting go. We tend to want to avoid the sadness that comes with grief, but allowing ourselves to feel (it) promotes healing. Guilt is the feeling we have when we do something wrong. Guilt in caring for care receivers comes in many forms. There is guilt over not having done enough to have prevented them from getting sick in the first place. There is guilt over feeling like you want this to end. Or guilt over having been impatient with your care receiver too much. There is guilt over not loving or even liking the care receiver at times. There is guilt over not doing enough for the care receiver or not doing a good enough job as a caregiver. And if the care receiver falls or something else happens, there is guilt about it being your fault that it happened. And sometimes caregivers feel guilty about thinking of their own needs and see themselves as selfish, especially if they should do something like go to a movie or out to lunch with a friend. Forgive yourself. When tired, frustrated, and trying to keep things under control, it’s natural to want to speed up and have compliance from the care receiver to keep them safe and healthy. So, first, slow down. Leave a lot of time to accomplish tasks. Leave a LOT of time. Control the environment as much as you can, but know you can’t always prevent your father from taking off without his walker. Create a list of the things you are in control of and are not. Understand what you can and cannot control. It’s okay to admit to being jealous. Because things are not fair, we often have flashes of resentment and envy at other people’s good fortune compared to our own. Jealousy is a problem when we wallow in it and prevent ourselves from enjoying the things we DO have. Focus on what you do have, whatever that may be, and find a place in your heart for gratitude. Sometimes we have to give ourselves our own pat on the back. Writing in a journal about the things you do each day might help you to appreciate how much you give and how much you do. Having a support group or a group of friends/family to cheer you on is important, and both comforting and necessary to remain resilient through your caregiving journey. Find ways to get out of the house and involved in something other than caregiving. Learn about resources from your local Area Agency on Aging about respite programs or day care programs that will allow you to get a much-needed and well-deserved break. No one can do this job alone. Look at your wider circle of support—faith community, neighbors, friends, distant relatives, etc. to see where you might get some nurturing for you. Family situations and dynamics can be a real challenge. Having help from family may make your situation easier, but sometimes family tensions make it even harder to get help. (See FCA Fact Sheet Caregiving with Your Siblings.) The more help and support you accept, the easier it will be to let go of feeling burdened and resentful of those who are not doing their share. If family tensions are getting in the way, it could also help you to refer to the FCA fact sheet Holding a Family Meeting. If you can’t get help from the people you think should be offering it, then you need to broaden your circle of people to include those who can and will help. It is easy to forget about the good things that have happened or are happening when we only focus on the negative. Sleep has to be put on the priority list. Lack of sleep leads to obesity, illness, crankiness, impatience, inefficiency in accomplishing tasks, and a state of mental fogginess among other issues. If you are having trouble falling asleep or staying asleep not related to direct caregiving, talk to your physician. If you are having trouble sleeping due to caregiving problems, talk to the care receiver’s physician. There are ways to help both of you to get the rest you need. As a caregiver, you do amazing work caring for others in need. But as a caregiver, you also need to think about yourself. (See FCA fact sheet Taking Care of YOU: Self Care for Family Caregivers, and also the fact sheet Caregiver Health.) Just pushing through each day will eventually wear you out and cause you to burn out. Emotional issues can weigh you down and impact not only your ability to cope and provide care, but they can also harm your health and well-being. It is important to learn to ask for help and prioritize getting breaks from caregiving, so that you can be the caregiver you want to be. Beauty Questions About Hydrating Dry Skin?